André Kasche is a Swiss, German and European patent, design and trademark attorney. He studied chemistry and mathematics at the Midwestern State University in Wichita Falls, Texas, USA, as well as biochemistry, organic chemistry, and chemical engineering at the University of Hannover, Germany. His doctorate was awarded by the Max Planck Institute of Endocrinology on the synthesis of antihormones and the study of their affinity in in-vitro and animal models. He has broad industrial practice including chemical research. His technical emphasis is on life sciences, the pharmaceutical industry, organic chemistry and in particular the area of biotechnology. 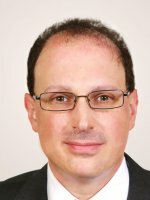 His IP experience includes working for Boehringer Ingelheim GmbH and IP law firms in Cologne and Munich. In 2004 he founded his own patent law firm and began cooperating with Ritscher & Partner AG in Zurich. In 2013 André Kasche took over the IP portfolio of Ritscher & Partner AG, now registered as Kasche & Partner AG. 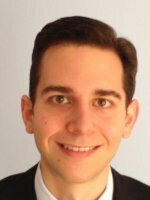 Oliver Horlacher is a European patent attorney and holds a Doctor and Master of Science degree from the Federal Institute of Technology in Zurich (ETH Zurich) where he studied chemistry with an emphasis on biological engineering, structure determination and organic chemistry. Oliver Horlacher joined Kasche & Partner AG in 2014 and his technical emphasis is on life sciences, the pharmaceutical industry, medical devices and chemistry. He is experienced in all aspects of patent drafting, international patent prosecution, drafting patentability and freedom to operate opinions and advising clients on patent strategies. Allen Richter is a European, Swiss and Israeli patent attorney and holds a B.Sc. in mechanical engineering from Tel Aviv University as well as a M.Sc. in electro-optical engineering from Ben Gurion University, Israel. He has been practicing intellectual property law for over ten years with particular emphasis on European and US patent law. Allen Richter has extensive experience in the drafting and international prosecution of patent applications covering a wide range of technologies including information technology, communication systems, medical devices and electro-optics. Allen Richter also regularly provides consultative assistance in IP-related due diligence- and freedom-to-operate opinions. Last but not least, Allen Richter is a passionate Jazz pianist. Dr. Gila Shimoni-Elhanati is a licenced Israeli patent and trademark attorney. She holds an M.Sc. in chemistry from Ben Gurion University and a Ph.D. in biophysics from the Hebrew University of Jerusalem. After completing her Ph.D. work, she pursued post-doctoral research at the Weizmann Institute of Science, Israel. Dr. Shimoni-Elhanati has many years of experience as a patent attorney in the technical fields of chemistry, agrotech, medicine and biotechnology. In addition to drafting patent applications, her legal work further includes the drafting of patentability and freedom to operate opinions, handling appeal matters and advising on patent portfolio strategy. Dr. Shimoni-Elhanati worked for patent law firms in Israel and provides her services on site in Israel for A. Richter & Company as well as in Switzerland for Kasche IP Partner. He is a German patent and European trademark attorney. He studied technical cybernetics at the University of Stuttgart. He has a broad industrial practice background in passenger car development, production planning & control, as well as in logistics. He practices intellectual property law since 2001 and founded his own intellectual property law firm in 2004. 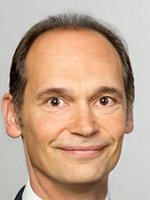 His IP experience includes working for large car manufacturers in Stuttgart and Munich, specialized and dynamic medium-sized companies and research institutes as well as individual inventors. 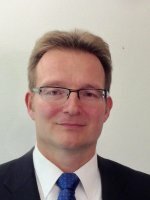 He joined Kasche & Partner AG in 2014 and focuses on cybernetics, mechanical and electrical engineering, in particular automotive technology, robotics, control and feedback control systems, signal technology, air conditioning technology, logistics and cargo technology. Nicola takes care of the back office and all formalities including maintenance fees. 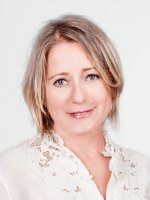 She is doing independent annuity control and registration maintenance and is also director of Servopatent GmbH, an IP service organization. He is in charge of our accounting operation.